Y12 students attend a workshop with BCLP Law to find out more about how to write a successful application for a law work placement as well as find out more about the route to become a lawyer. Empire Magazine’s Editor-at-large Helen O’Hara visited students studying English Literature to talk about career paths into journalism and life as a freelance writer. Part of the NCS lecture programme. A brilliant lecture delivered by the charismatic Professor Foster, National Clinical Chair for the Hepatitis C Delivery Networks, founding President of British Viral Hepatitis Group & clinical lead for hepatology at Barts Health. Thank you for being so generous with your time. NCS Dentistry hopefuls had multiple mock interviews with current dentistry students. 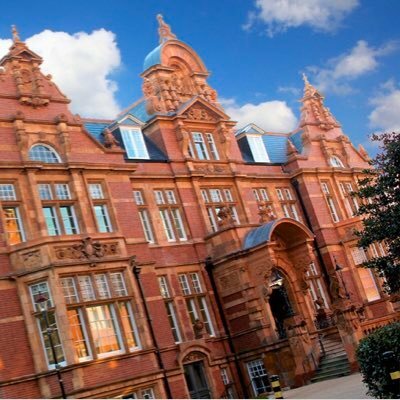 On 10th November 2018, NCS Alumni/medics from UCL and Imperial University visited NCS to run mock MMIs for Y13s applying for medicine. Students had to answer questions at different stations and were given feedback on how to improve. Students ended their trip to the USA with a masterclass on the application system. NCS students attend lecture with world famous professor at Harvard University. Students attended and took part in a lecture with Professor Michael Sandel at Harvard University. NCS students spent a week in Boston and New York visiting American universities including Harvard, MIT, Princeton, and Columbia. They learned about the programme of study in America, admissions and had campus tours. A full report and film can be watched in our news section. Our Banking and Finance scholars had a unique opportunity to visit JP Morgan and find our more about their business. They also participated in an excellent interactive session on CV writing and how to excel at interview. A week of Biology workshops begins. Sessions included dissections, guest talks, hands on with exotic animals, and our annual biology bake off. Following in the footsteps of Tafsia Shikdar (material sciences at MIT) and Edi Rama (Mathematics at Oxford University), a record third NCS student, Nancy Palumbo has been awarded the Harvard Book Prize for outstanding academic achievement. Star of University Challenge, Bobby Seagull, spoke to NCS students about his love of maths and journey from East Ham to Eton and Cambridge University. On 25th September, Senior Admissions Officer from Harvard University visits the NCS to launch our Ivy League Preparation Programme from Y12 students. Ms Irons spoke to parents and students about applying to Harvard and the US more general. We took our entire new Year 12 to Cambridge University for the day. They heard from the university’s admission officer, sat in two lectures and toured some of the famous colleges. Our new cohort started their NCS journey with a day of critical thinking and industry workshops. A week long trip to Japan to research with scientists begins. Students visited Washington and New York to learn and experience USA politics, history and culture. Dr Pauline Hill – chemist, founder and CEO of Nourish Skin – ran a workshop on the chemistry of cosmetics for NCS science students. Volunteers from Morgan Stanley ran mock interview for students. Geography students enjoyed a great day at the Royal Geographical Society discussing the importance of geography and where it can take you. From careers in business, economic development, government, defence and more! Alan Sheptin flew in from the US to run a week long US entrance test workshop to help prepare our students ace their SATs. A number of our students have since secured 800/800 in their subject tests. Students had an all expenses paid week long work placement at White and Case LLP in Abu Dhabi. Year 12 students attended an amazing series of events at the NCS, National Portrait Gallery & British Library. We added a walk through Bloomsbury, visiting Fitzroy Square, to top off a great Woolf inspired day. Female students visited Citibank to celebrate women in the workplace and set goals for the future. Year 12 students attend a series of sessions at Lady Margaret Hall, University of Oxford to learn about making competitive applications. Along with talks the day included workshops on preparing for entrance exams including MAT, PAT, LNAT, BMAT, ELAT, TSA. International law firm Ashurst visit The NCS to run a workshop on applying to their apprenticeship scheme. Y12 English students had a trip to the Old Vic theatre to see Ingmar Bergman’s “Fanny and Alexander”. There were celebrations at The NCS as part of 2018’s Pi Day. Yuness, Karrishen, Rayyan, Abdus and Shameel won the Pi Day Treasure hunt. NCS students were assistants at the UCL herbal medicine day. Students visited BLP Law for a #Pressforprogress event on International Women Day. They heard the empowering story of Olympian Kate Walsh’s journey. Our students will now be going be for gold! NCS students spent the day at Babraham Institute carrying out science research. A week long celebration of gender equality for our students. Events include discussions, talks and movies! Lecture for NCS students on number theory by Vicky Neale, University of Oxford lecturer and author of “Closing the Gap: the quest to understand prime numbers”. Students Nancy & Naveen secure a place on the immensely competitive Fulbright/Sutton Trust US Summer School Programme and will be visiting Harvard and MIT as part of their experience. Humanities Week – Costumanities Day! Students and staff dressed up as humanities based figures – either a character from history, politics, literature, psychology or geography. Literature students bring some of their A Level texts to life on stage as part of Humanities Week. Staff and student debate in the chambers as part of humanities week. Representatives from The FCA met students to discuss their work. Y12 student Bogdan Vicol earns Bronze in the British Physics Olympiad. Future lawyers from Year 12 visited Norton Rose Fulbright to learn about their company and the law sector. Medics were put through their paces during a mock MMI run by medical students from Imperial, UCL & Brighton and Sussex. With the help of masking tape, students turned our hall into victorian London as part of a theatre workshop with the Old Vic, ahead of seeing A Christmas Carol. Students attend the offices of Clifford Chance to examine the skills required to become a lawyer and also met with inspirational barristers. Students spend the day at KPMG to learn soft skills. Channel 4 news reporter Fatima Manji meets with students to discuss journalism and current affairs. Students spend two days at the Global Classrooms Model UN. Four awards were won and resolutions made on a range of key issues including mental and maternal health. NCS Students visit Moody’s to question employees about credit risk analysis and discuss how to start working in the finance world. NCS students received complimentary tickets to the press night of The Lorax at The Old Vic. 15 students conducted work placements shadowing consultants in Lon Hospital over half term. 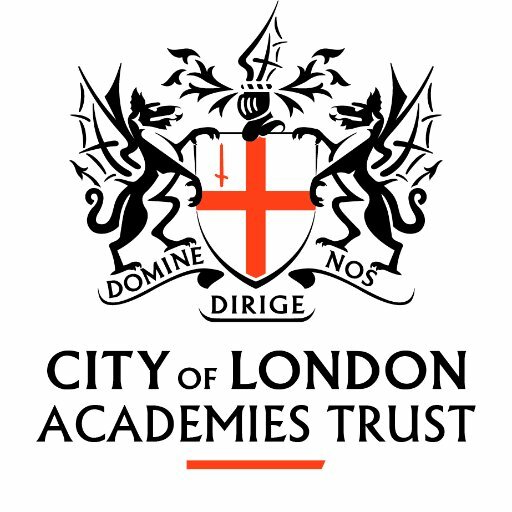 Students attended the lecture “Building a Theorem” at City of London Academy. Students spent a day at the Barclays head office in Canary Wharf discussing leadership qualities and developing their communication skills. It was a very interactive day where students got to question Barclays employees and build sofas made from balloons. British entomologist, author, academic, television presenter and explorer, George McGavin, returned to The NCS to deliver a lecture for Science students. This was an evening seminar for students interested in a career in law. They attended a Q&A session with BLP employees and attended a session where they were given tips on how to apply for the prestigious two week work experience. This visit gave students an insight into the world of finance. They attended workshops on how to write an outstanding CVS with JP Morgan employees. 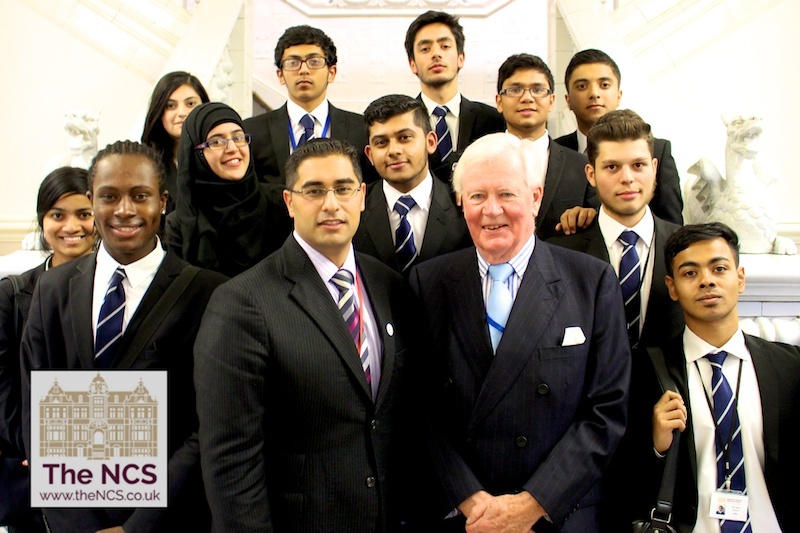 Ben Page, the Chief Executive of polling company IPSOS MORI, visited NCS students to discuss the ways in which data and statistics gives industry insights into a population’s thoughts and values. 15 NCS scientists are embarking on a cutting edge research project that will see them collecting data on the genome of a human parasite, their findings will be used to help combat infection and they hope to be published in a scientific paper. Our 2017 induction took our entire new cohort to Cambridge University for a day of lectures from professors, a talk on applying and exploring around the town. NCS Induction continued with masterclasses from researchers and industry professionals. Science students spent a week travelling Japan and working on a project with leading Japanese professors and students. Science students spent a week working alongside Japanese students on a science project at Cambridge University. Placements at NHS hospitals were arranged for over 15 students this summer – bringing the total to over 40 for the year. All Year 12 students spent the day at UCL learning about higher education, courses and the application process. Two NCS students earned themselves places on our Abu Dhabi work placement at White and Case LLP. They experienced a week learning about the work of an international law firm and also experienced life and culture of the local area. Read the students’ view and watch the full video here. Read a full report and watch and see photos here. Year 12 students visited West Hatch School for a lecture and lively discussion on Animal Ethics with Carl Frayne Dao, a PhD candidate from the University of Cambridge as part of our weekly Philosophy and Religious Studies supervisions. 10 pupils took part in the British Biology Olympiad that is open to all year 12 and 13s in Britain. The competition is involves two 1 hour tests, with very high level biology questions, the vast majority are above the specification of A level biology. LSE Undergraduates deliver subject specific tutorials for Y12 students. Y13 student Sadia secures place on Merit360 New York Programme where she’ll work on United Nations Sustainable Development Goals. Lecture – Evan Davis on Economics, Politics and the Dragons! Evan Davis – presenter of Dragons Den and chief anchor on the BBC’s Newsnight – spent an hour with NCS students to talk about current affairs and the history that led us here. He also answered students questions on any topic. We were delighted to welcome back NCS Alumni Amna (Medicine at UCL) and Tayyiba (Dentistry at Parts) to run an interview prep session for our current Year 13 students. Click here to watch this lecture and find out the student view. Watch this lecture and find out the student’s view by clicking here. The ‘Philosophy and Theatre’ Super Curriuclum students went to the West End to see Headlong Theatre’s production of ‘1984’. There were six students and we saw a matinee. We’re going to analyse the philosophical questions raised by the play in class. A day trip to Manchester to see one of the English Lit set texts “A Streetcar Named Desire” being performed on stage. Click here to read more about this trip to America to discover more about American politics. Includes guided tours by Washington officials, time in a senate hearing and a visit to the United Nations. High level entrance exam questions being tackled by NCSstudents with support from @UCLEngEdu mentors. At the start of February, NCS students spent a week shadowing a policy advisor at the Department of Health to see the various roles involved in running a government department and understand the other side of our NHS. Click here to read more about this. Entomologist, former Oxford lecturer and TV presenter George McGavin returned to The NCS to deliver another fantastic lecture on the wonderful world of bugs and insects. NCS students visited Parliament as a guest of our MP Stephen Timms to take part in a politics workshop and witness a house of commons debate. You can read more about this on the Newham Recorder website here. Students taking part in the formula one design challenge for schools took part in a launching workshop with mentors from UCL Engineering. With guidance and advice they started working on initial designs for their entries. Dr Christina Philippeos delivered a talk to students about her career, scientific projects and what life as a cell biologist is like. Sir Vince Cable met NCS Politics, History and Economic students to discuss his career, the coalition government and the economic crisis. Click here to watch the full speech and see the student reaction to his visit. 30 NCS students attended the Inspiration show at Shaftsbury theatre on 3rd December. The show involved three interactive talks by some of the countries most engaging maths speakers, including Matt Parker discussing adventures in the fourth dimension. Selected students met their LSE tutors on 2nd December. Tutoring will take place for 10 weeks in either 1-1 or 2-1 groups and will begin in January. It will be in the following subjects: Mathematics, Further Mathematics, English, Geography and Government and Politics. On Monday 16th November 2015, acclaimed science and maths author Simon Singh visited students at The NCS to deliver a talk based on his interests and works. Click here to read a full report and watch a video. 18 NCS students took part in 4 KCL robotics workshops which took place in KLC robotics labs. Students worked on creating a robot which with a variety of sensors and not only put together the hardware but also had a first taste of coding. On 2nd November 9 lucky students were shortlisted for interview by KPMG for a competitive mentoring programme run exclusively for NCS students. Students faced difficult questions on why they should be selected, what they could offer KPMG and what they knew about consulting and tax. Biology Week – hands on with bugs! Biology Week – NCS students reach national final vote! Alongside our own competition for the best Biology Bake, NCS students Lily & Nicola made it through to the final national vote for best #biobake. A team of NCS students visited Japan to take part in a multi-national science project that consisted of workshops and research with Japanese students. Year 13 student Hiba said of the trip, “As far as experiences go, this is one that I will never forget. On the 7th July Into University hosted a personal statement workshop at the NCS. This session gave our students the opportunity to realise which skills, achievements and experiences universities are looking for and how they can evidence these in their personal statement. A programme running over two sessions welcomed the Head of Client Analytics for EMEA Commercial Banking and the Head of Corporate Finance and Syndications from Citi to give our students an overview of a career in Banking and Capital and Corporate M&A. NCS students attended Cédric Villani’s Lecture “Birth of a Theorem” in London with teachers. 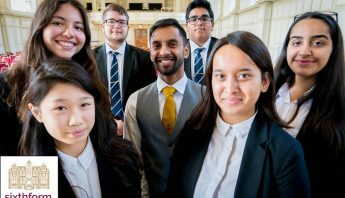 Budding NCS lawyers have the privilege of receiving intense legal training from highly qualified and reputable barristers from leading chambers in London. Students are learning about the legal principles which govern areas of law such as Human Rights, Police Powers, Criminal law, Negligence and Contract. Students attended a performance of English National Ballet’s The Nutcracker at The London Coliseum. Select students had the opportunity to shadow a consultant at Guys & St Thomas’ Hospital over the Autumn half term. KPMG visit by NCS Ambassador Adam Bharucha to discuss the highly competitive KPMG School Leaver’s Programme with students. 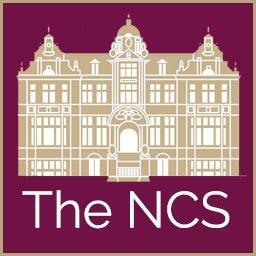 After receiving their GCSE results, students spent today enrolling to study at The NCS. Our first student to complete enrolment was Elizabeth (pictured with Mr Ismail and her mother at our enrolment day). Students spent the morning having a taste of lessons at The NCS ahead of our enrolment.